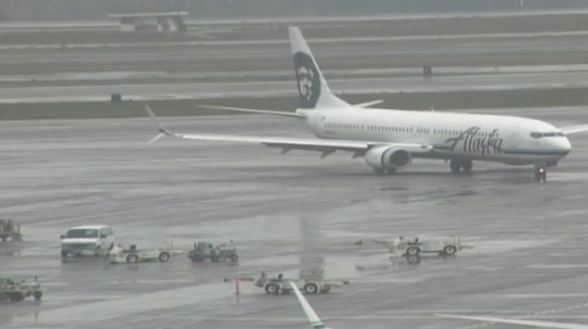 Alaska Airlines is investigating how a baggage worker fell asleep inside a plane's cargo hold. Passengers and crew heard banging and screaming from below after the plane took off from Seattle yesterday. The pilot returned to the airport for an emergency landing. CBS News correspondent Jeff Pegues reports on how the harrowing experience unfolded. Hillary Clinton, dismissed by fellow presidential hopeful Sen. Marco Rubio as "a leader from yesterday," is kicking off her campaign in Iowa. She's there after a 1,000-mile road trip from her New York home. CBS News correspondent Nancy Cordes spoke with former Obama campaign volunteers who are both "Ready for Hillary" and on the fence. With Clinton now officially in the race for president, many are wondering whether she'll face a serious opponent for the Democratic nomination. CBS News political director John Dickerson takes a look at the field of prospective candidates. In 2008, the nation was teetering on the brink of a disastrous financial meltdown. Then Treasury Secretary Henry Paulson helped avert a second Great Depression. He doled out $700 billion dollars in bailout money to banks. But, CBS News correspondent Jan Crawford reports, today, he is sounding the alarm about problems he says are even more pressing. More than 200 people are sick with the Norovirus after outbreaks on two different cruise ships. Both left Fort Lauderdale at the end of March for 15-night cruises. One has arrived in San Diego, and the other is hours away. CBS News correspondent Vladimir Duthiers reports on how authorities are determining the cause of the contagious outbreak. A growing body of research finds clues in your breath can reveal many things about your health. Doctors are using breathalyzer tests to diagnose a number of serious health conditions -- everything from gastrointestinal bugs to asthma -- and they may even hold promise for cancer. When it comes to your health, sometimes you shouldn't wait to exhale. The Senate returned to Washington this week with a busy agenda, facing major legislative action on Medicare, Iran, education policy, and President Obama's attorney general nominee. It all adds up to quite a juggling act for the Senate's GOP leaders, who came into power in January promising a more open, functional chamber and now must deliver on that promise. Here's a progress report on four of the most consequential items on the Senate's to-do list. When it comes to the IRS, no news is good news. That's especially so because most of the attention it has been getting involves how budget cuts have hobbled the agency in recent years amid increasing responsibilities such as the new tax wrinkles stemming from the Affordable Care Act, better known as Obamacare. Does alcohol in movies make teens more likely to drink?